This data is crucial to ensuring your products are free of pathogens, chemicals, and allergens and verifying that they meet your restaurant’s strict quality specifications. While much of this data is already available from your suppliers, it still needs to be to gathered, organized, and analyzed before it can be beneficial. Ideally, you would have all of this completed before any product reaches your consumer; but in reality, tight budgets and limited manpower leave many companies playing catch-up and searching for the root cause after an issue has been reported. 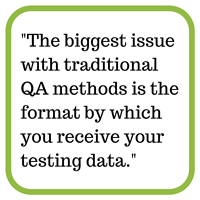 The biggest issue with traditional QA methods is the format by which you receive your testing data. Most results are reported via email, in spreadsheets or PDF documents. PDFs are stagnant; they cannot be used to compare or trend results without extensive work on your part. Spreadsheets, while they provide a bit more freedom, cannot communicate with any data outside of their scope. These formats result in disconnected, fragmented data sets that are hard to search through in the event of an incident and cannot be used to identify trends over time. Fortunately, proactive restaurant chains are utilizing modern technologies to streamline these processes, ensuring they monitor their product data in real time. Actionable Quality Assurance (AQA) was created from the laboratory perspective. In that fashion, we took a page from our scientific roots by creating a Laboratory Information Management System (LIMS) designed specifically for the restaurant industry. The result is a centralized platform capable of monitoring and reporting every data point a restaurant’s headquarters needs to know about. The first advantage of the AQA System is the ease of gathering, organizing, and analyzing your testing data. Instead of spending hours collecting this data via emails, spreadsheets, and PDFs, unique APIs (Application Program Interfaces) pair with your various supplier and testing laboratories’ existing LIMS to automatically upload test results straight into the system. Additionally, your data is organized and stored in the cloud based system, establishing full transparency; it can be accessed anytime, anywhere, by any member of your team. Finally, specification comparison workflows within the system analyze your data as it arrives, alerting you of any exceptions. This creates a central repository of all your products’ KPIs that are easily searchable to anyone in the organization. If there is a recall on any product or ingredient, a quick search will easily identify where that product has been and which restaurant locations may have been affected. Now that you’re gathering, organizing, and analyzing your data in real time, you can put it to good use. 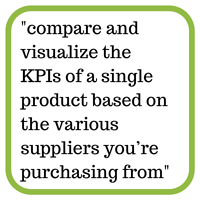 Utilizing a platform like AQA enables you to compare and visualize the KPIs of a single product based on the various suppliers you’re purchasing from at the click of a button. This can be used not only for quality control purposes but also in supply chain and purchasing decisions by measuring your various supplier performance based on the quality and consistency of the products they provide. Furthermore, custom dashboard displays graphically represent this data while alerts notify you of critical issues such as products testing positive for pathogens, product size falling outside of your spec, or when repeated product issues are occurring at the restaurant level. These visualizations, alerts, and notifications enable you to prevent a food safety incident before it reaches your most important stakeholder, the consumer. 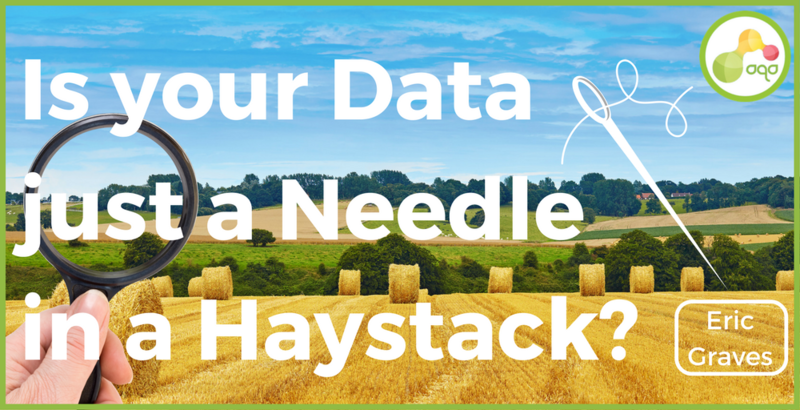 So, is your data just a needle in a hay stack? It’s time to let your data talkTM, so that it can work as effectively, and as hard, as you do. Schedule a demo today to learn how the AQA System can bring value to your restaurant and put you back in control.